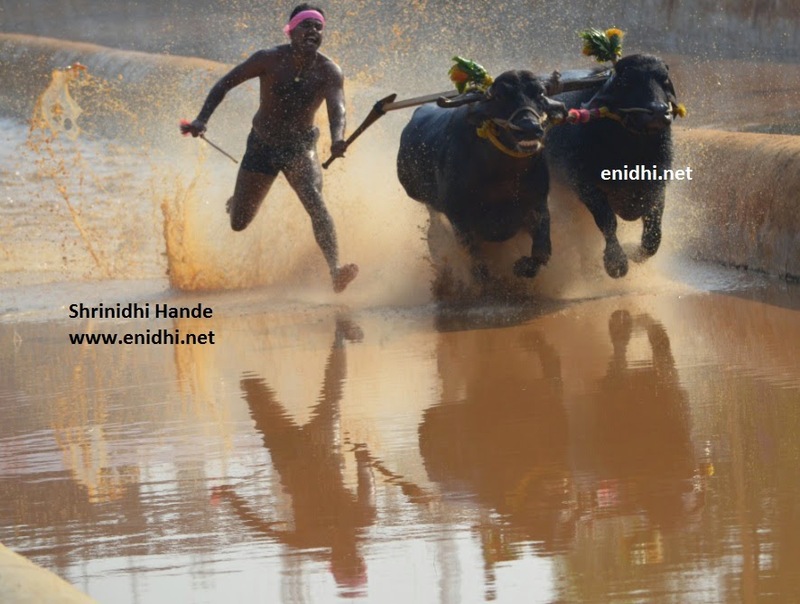 Kambala is a popular sport in the coastal Karnataka districts of Udupi and Dakshina Kannada (South Canara). It involves racing a pair of buffalos on a short watery track. 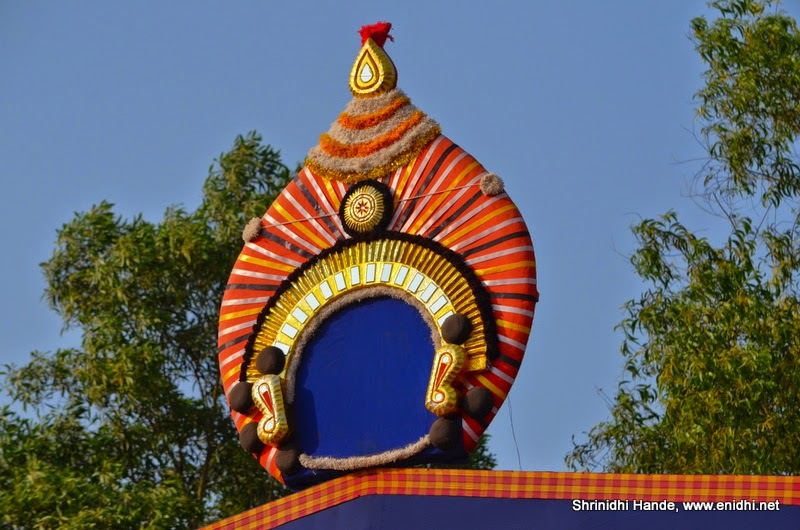 Though this is an annual ritual held at multiple places during my childhood, all these days I hadn’t bothered to attend one. 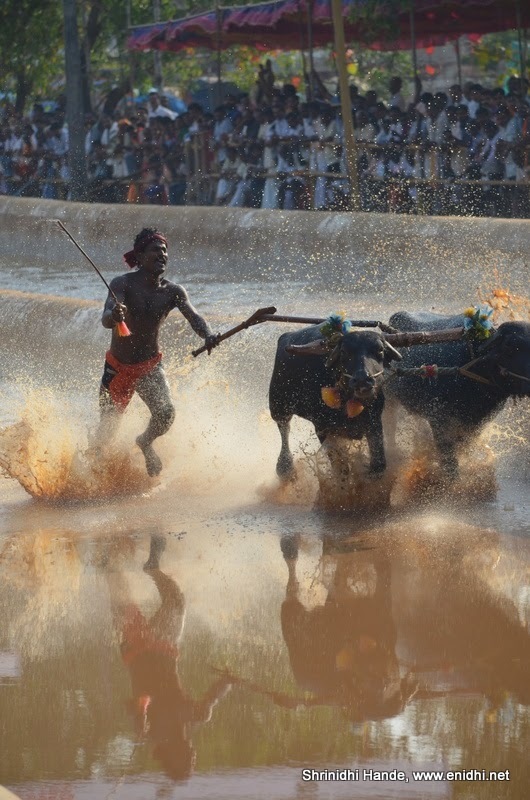 Recently someone complained about possible animal cruelty in Kambala and court banned it outright, along with few other South Indian animal sports such as Jalikattu (held often in southern Tamil Nadu). I felt sad on hearing the ban news and felt guilty of never paying enough attention to my home district sport. 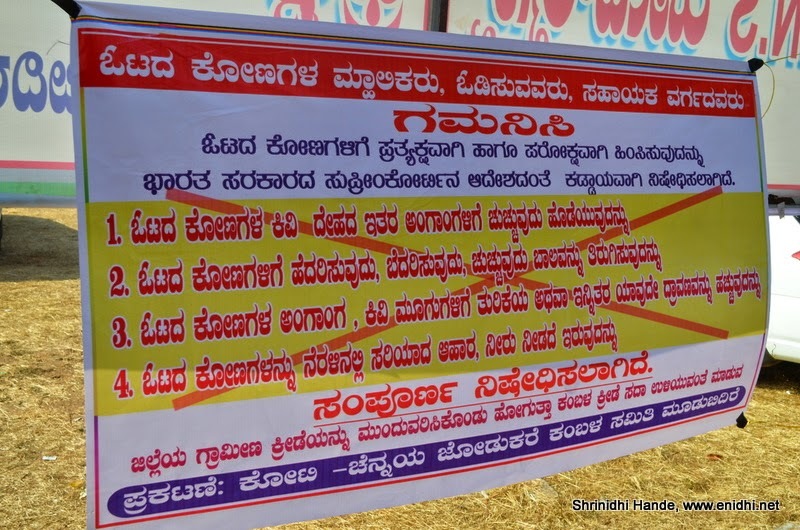 Thankfully after various people explained to the court that Kambala doesn’t really harm the buffalo in anyway, Hon’ble court has given an interim permission to continue conducting the Kambala activity, but subject to expert supervision and additional precautions that ensure animals are not harmed in any way. 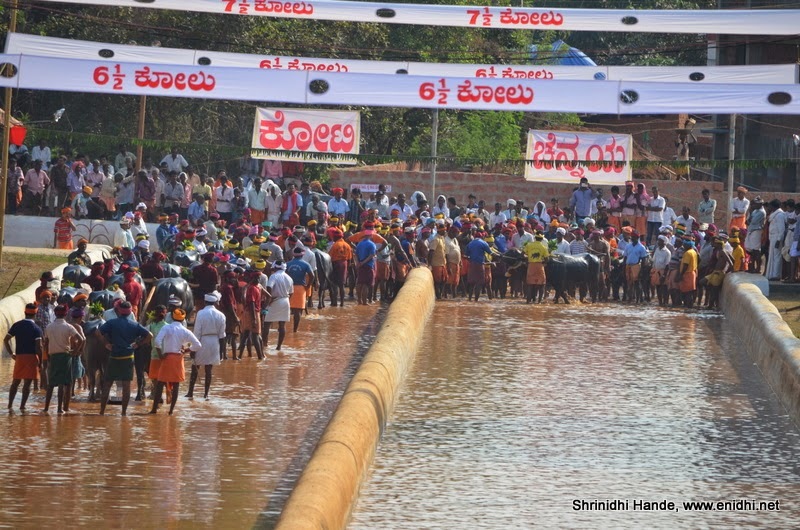 Because of this, the series of Kambala celebrations is allowed to carry on for now, until court takes a final call. Then suddenly I came across the current season Kambala schedule, thanks to my facebook friends like Kudpi Raj, Mr. Gopala Krishna Baliga, Mr Krishna Mohan's blog has full schedule. 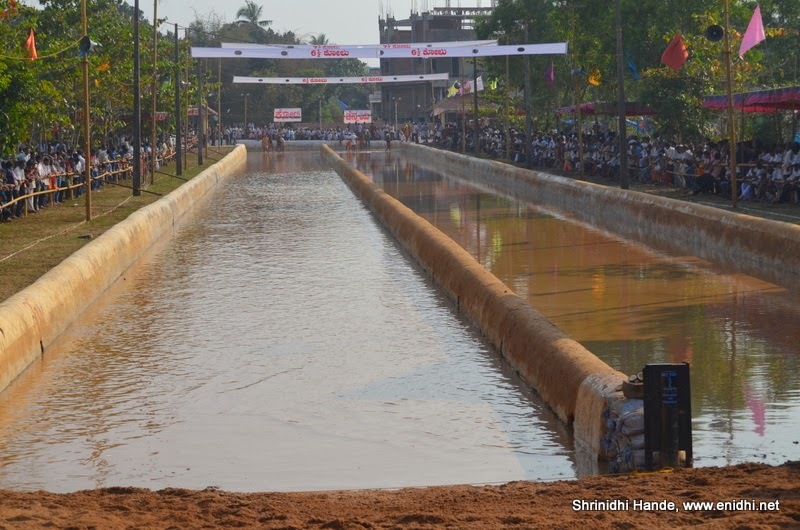 I realized that there’s a Kambala happening at Moodubidire on Jan 17th. This was a convenient date as I had a home town visit planned around that time. So I set aside Jan 17th to spend at Kambala venue. Coming back to Kambala, it is pretty straight forward- buffalos race each other in pairs and the best pair wins. But here’re some more details, from whatever I have heard, understood and seen about Kambala. It is held in three categories, based on the age of the buffalo. Younger ones, medium aged ones and fully grown ones race in their respective categories. Then there’re multiple types- simple race wherein the buffalo jockey (man who runs with the buffalos) runs along with racing buffalos, the second type is when the BJ stands on a skating device which is pulled by the buffalo. Below: Closeup of the start point and overhead targets. Rider or Jockey will spray water upwards to reach this white ribbons. Whoever sprays water higher will win. I missed this part of the race. I went to the venue at about 10 AM- I realized it was too early. Kambala is usually overnight event. Though it begins in the morning, it gains pace only in the evening, runs all through the night and concludes next day. At 10 AM, there were practice sessions going on and also some young buffalo category races happened. I spent about an hour walking around the campus, clicking lots of pics and then got bored. Went back to town and came back by 3PM. More crowd had gathered by now. I was hoping they might add some more water, but no. Water level was same. More water might mean better photos, but it will be more difficult for the buffalos and their jockey to run. 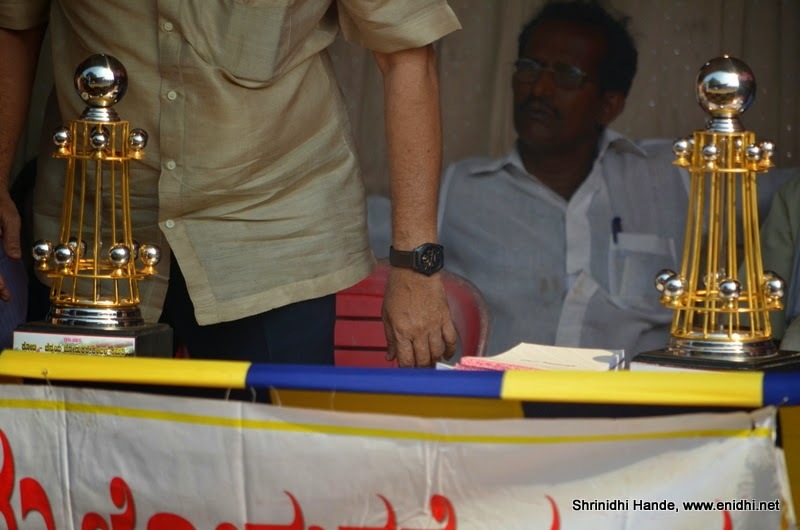 Most of the announcements were in Tulu, popular local language in and around Mangaluru. Unfortunately I don’t understand this language much so it was difficult to understand all the details. I was told that last year there were 184 pairs of buffalos taking part in the Kambala, this year some 150+ pairs are taking part. 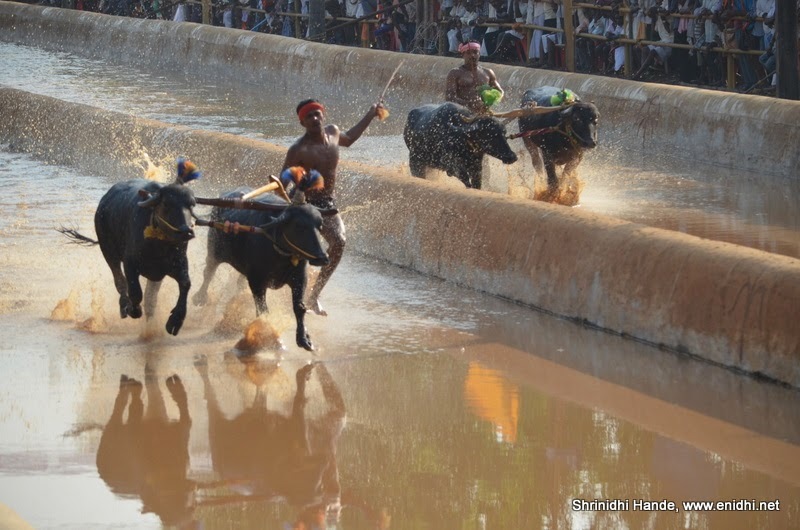 Few felt that the charm of Kambala is diminishing because of excessive controls and fear of ban. Kambala also attracts lots of amateur and professional photographs, as the race in muddy water, coupled with evening sun can get very photogenic. Announcer said that many people have won international photo awards by clicking photos of Kambala. 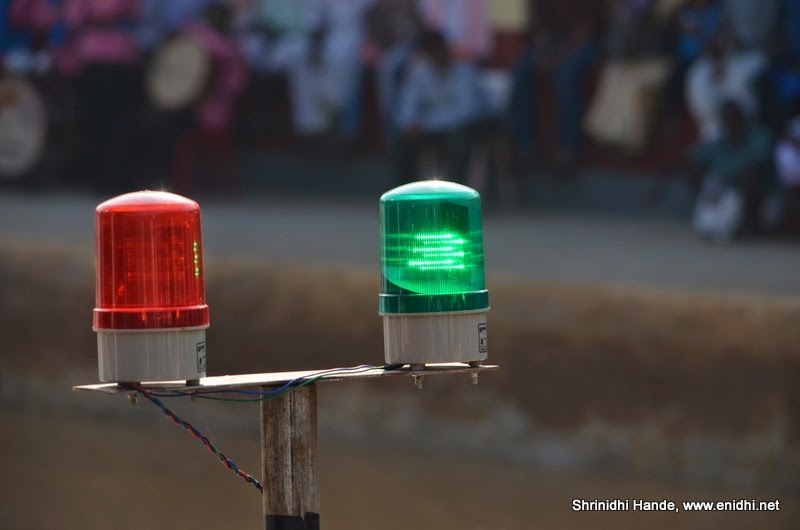 For the first time, laser sensors were used to decide the winner.Facilitated by Skyview, lasers accurately decide which of the two pairs crossed the finish line first and illuminate a lamp accordingly. How is Kambala different from Jalikattu? In Jalikattu, the primary motive is to tame the bull. To be able to hold on to its horns, control it and avoid getting killed in the process. Against each buffalo a bunch of brave men jump in and try to stop it. In Kambala, primary motive is to have a short race. The buffalos don’t need any pushing or pulling- most of them set off on their own once unleashed… It is the jockey who has to keep pace. At the end of the lane few support staff are deployed to ensure that buffalos won’t march into wrong direction or into general public. They are taken back to shed and readied for next round of race, if any. So is Kambala bad for animals? No. Just like a horse owner is proud of his horses, the buffalo owner is usually very proud of his assets. 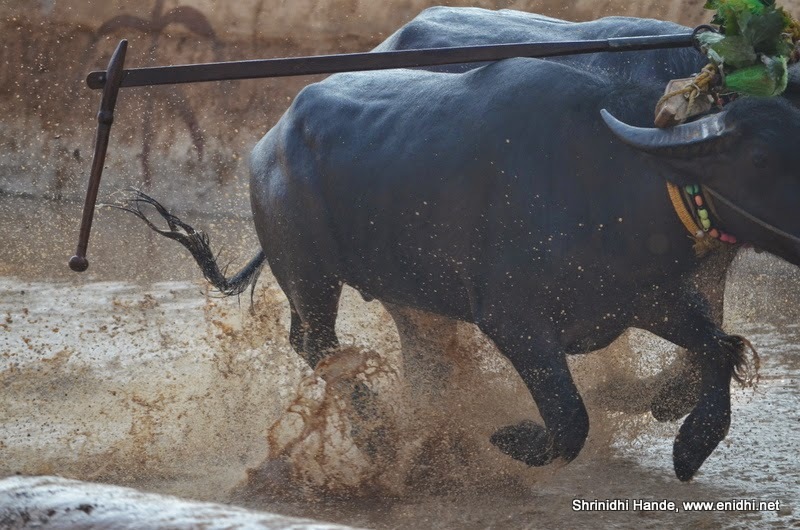 These buffalos are given additional care, good food and shelter, so that they can win races. Most of these buffalos need no push to race. Show them the track and they are more eager to run than their masters. There’re couple of people assigned to control the buffalos and release them only when it is time to begin the race. In a horse race jockey constantly need to push the horses to run faster. In a buffalo race, it is the buffalo jockey who struggles a lot to keep up with the buffalos. Is there’re cruelty involved? No. Most of the hits were usually to guide them in right direction-just like how a bullock cart driver uses a whip to make the bulls go in the direction of his choice. And coming to animal cruelty, why not BAN bakrid during which lakhs of innocent goats are killed? Isn’t that cruel? Why not ban horse races? Besides using all tactics to make horses go a few second faster, many people also lose money only to make a few super rich even richer. Why not ban chicken biriyani? I had to leave at about 5PM due to various reasons. I couldn’t witness the finals or the main even where water is sprayed up to 6-8 feet. Should definitely go one more time. I have some more photos and video footage to share. Will do that in a separate post little later. Good you explained the differences and the details. Great captures from the race, particularly the first one. 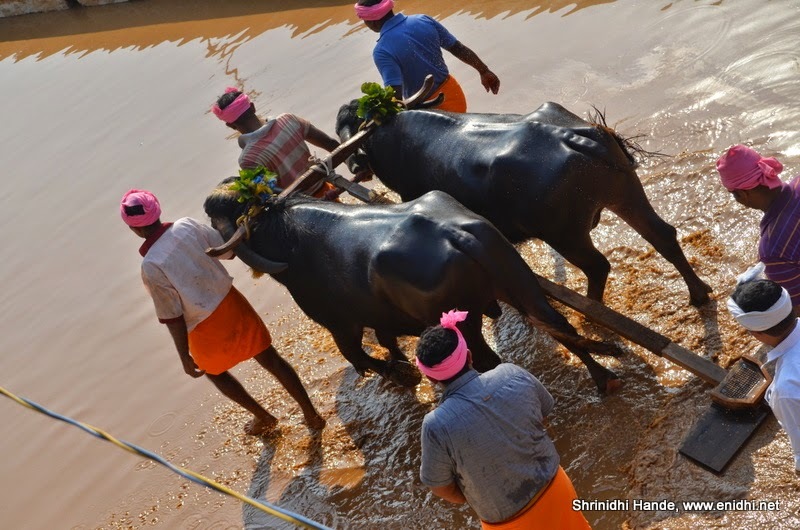 That is a nice comprehensive post on Kambala races. As for the debate regarding animal cruelty, I guess so long as you eat the animal that you kill, it isn't classified as "cruelty." And the govt. doesn't mind horses getting whipped as long as it gets a piece of the action. Kambala isn't profitable to them, so they are more than happy to ban it outright. THanks Indrani, Vishal and Niranjan. 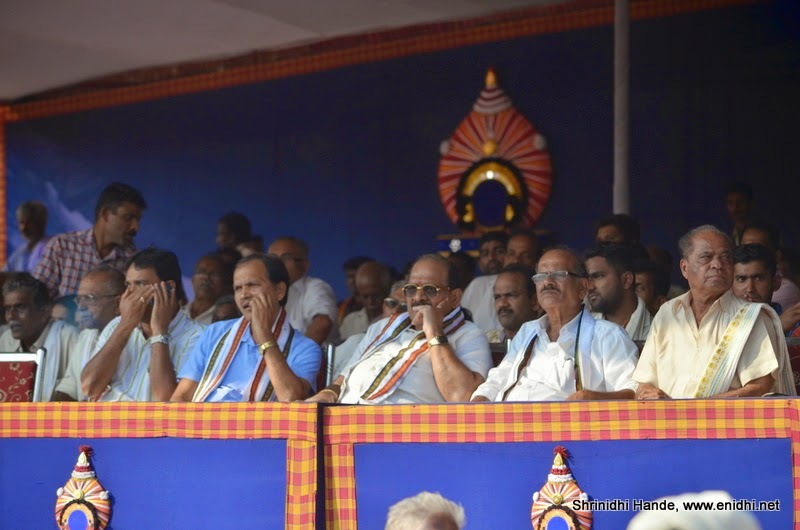 Nice detailed post on Kambala. I'm a huge fan, and I've been going since 4 years, after the court decided to interfere (same as you). I think you should definitely go for the floodlit races, the thrill at midnight is something worth experiencing!